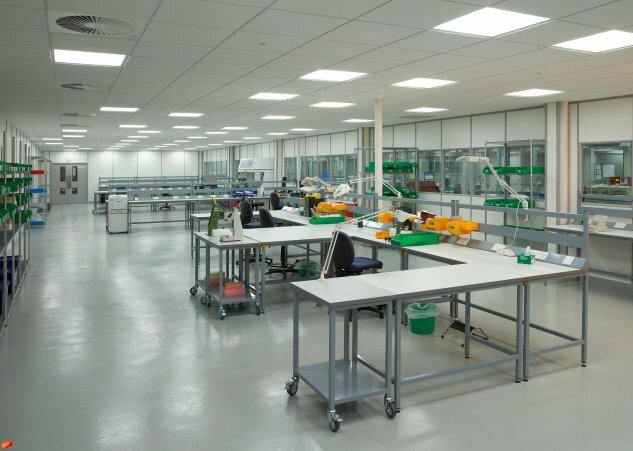 As specialists in workbenches and their associated products, we understand the various workspace requirements of different industries and workplaces. Whether you’re working with steel, wood, electronics, or extra heavy materials, we have the right size, the right strength and the right surface workbench or workstation for the job. 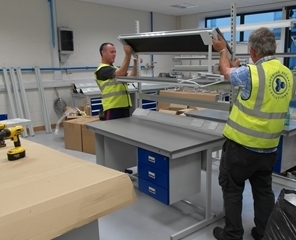 At Superior Storage Solutions, we supply and deliver the widest range of quality manufactured workbenches and workshop equipment at very competitive prices. Our General Purpose Workbench is exactly as the name suggests – an all-purpose workbench suitable for use in assembly, production and light engineering environments. The General Purpose Workbench can withstand loads of up to 250kg evenly distributed. 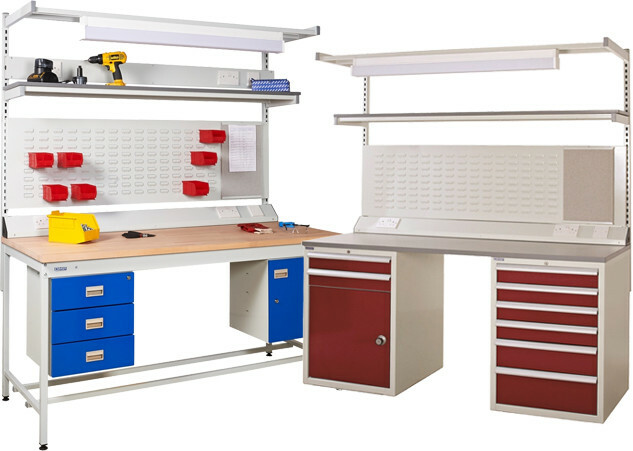 The Superior Storage Solutions Heavy Duty Workbench is suitable for use in heavy duty environments such as engineering and manufacturing. 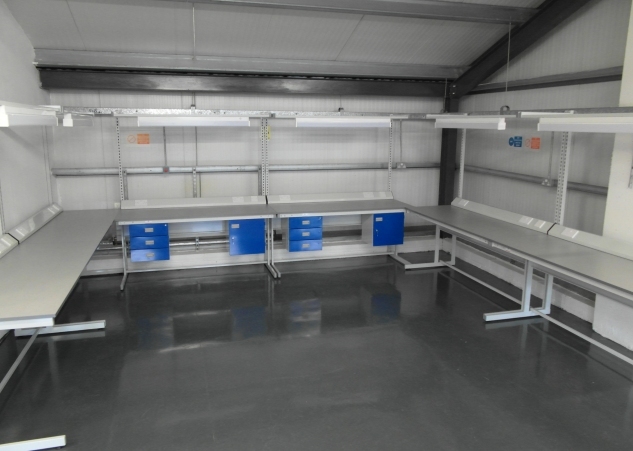 Its fully welded construction means this workbench can withstand loads of up to 1200kg evenly distributed. Choose from steel plate, hardwood ply, linoleum or laminate worktops. 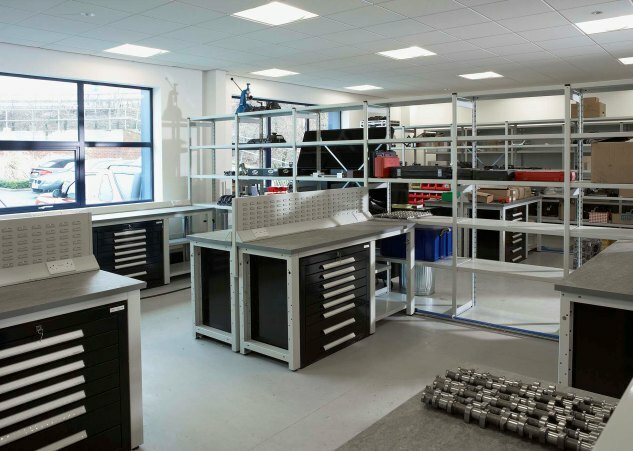 We supply a range of storage accessories designed specifically to fit our workbenches including drawer sets, cupboards plus combined drawer and cupboard units. Other accessories are also available such as louvre panels and service ducts, notice boards and RCB circuit breakers. 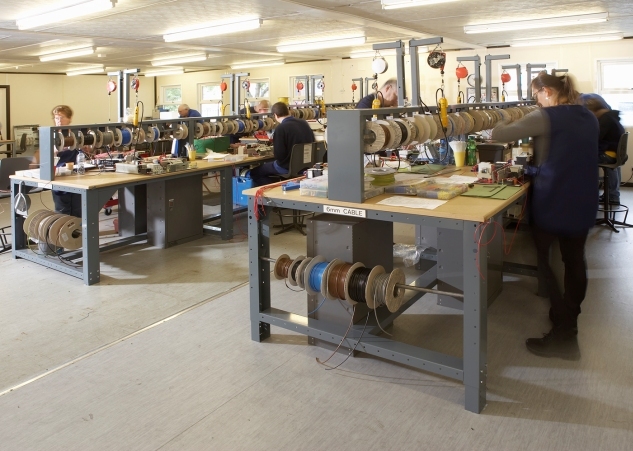 Static control is critical during electronic manufacturing to protect electronic circuit boards and other electronic products from the electrostatic charge. 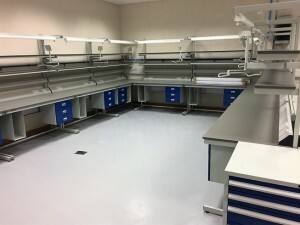 Our Static Dissipative Workbenches are designed specifically to meet these needs. Choose from a Norastat or Lamstat worktop with a full range of accessories available, including wrist straps, circuit breakers and earth/ground leads. 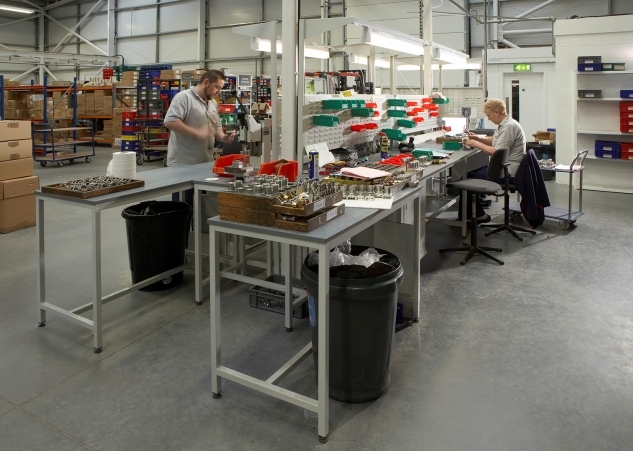 Where hygiene is essential, our range of Stainless Steel Worktables provide the perfect workspace. 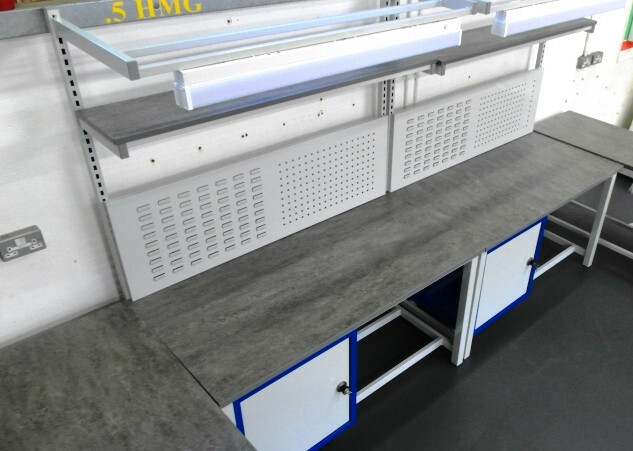 Available in a range of sizes, all worktables are supplied with removable worktops and shelves which make them very easy to clean. Available with lockable cupboard doors, or with open shelves, our Work Stations are ideal where paper-based tasks are unavoidable in a more industrial environment. You can choose from either a flat top or a sloping top, both options are fitted as standard with a lockable storage drawer and two shelves which can be adjusted to suit your individual storage requirements. Our Drawer Cabinets are ideal storage solutions for keeping your tools, nuts and bolts and everyday items safe, secure and close to hand. We offer static and mobile designs with optional drawer dividers to keep everything nice and tidy. 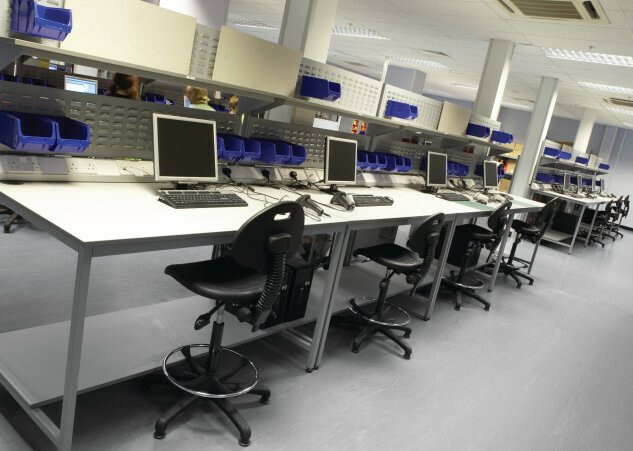 We also offer an extensive variety of task seating and work area floor matting to compliment our workbench range.